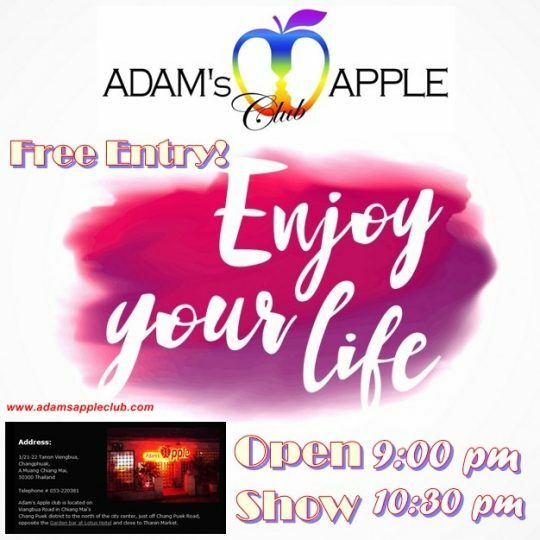 If you want to see a really good Cabaret Show, hot Asian Boys and a amazing Show please come to Adams Apple Club in Chiang Mai. Enjoy a relaxing drink in this unique Gay Bar surrounded by some of Asia’s most good looking young men. In our famous Gay Bar you get the best Shows and the hottest Asian Boys in town. See you at the No. 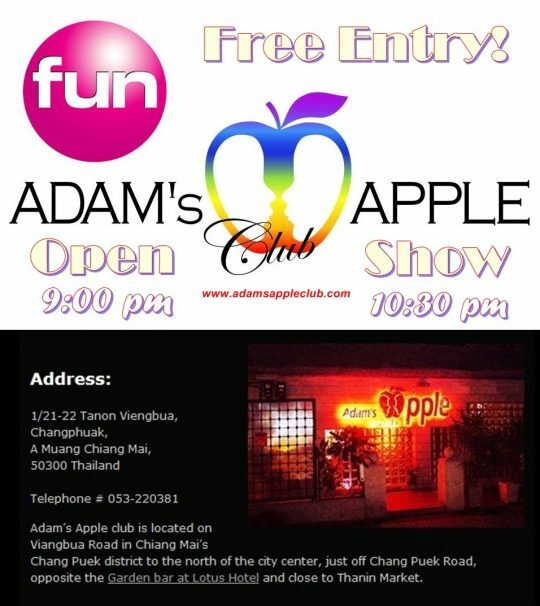 1 Gay Club in Chiang Mai in Adams Appel Club. Gay Scene in Chiang Mai, what, where, when and how to have FUN? Easy answer: Adam’s Apple Club Chiang Mai – where your fantasies become reality.